Week one of my Star-y Log Cabin e-course with Amanda was choosing fabric. Best homework ever! 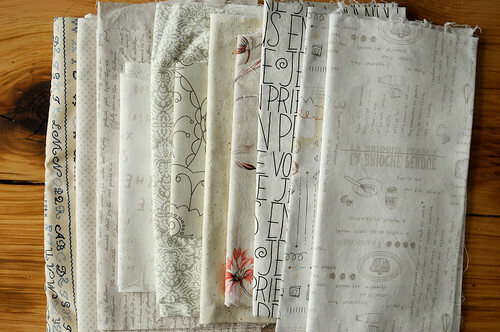 There’s nothing like picking fabrics for a quilt. It’s so much fun. 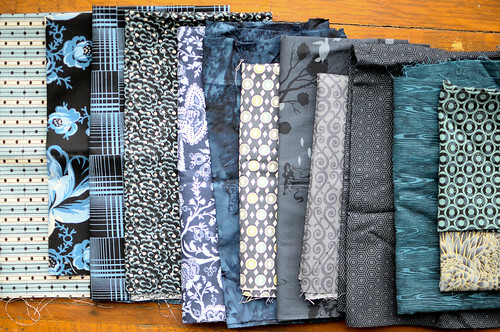 When else do you get to choose a few dozen fabrics for one project? I wanted to have something super contrasting to my dark navys, so I’ve chosen some variations of off-whites. Somehow this also includes a lot of my Japanese text prints. These are going to be a lot of fun as logs in my log cabin. The hard part was choosing a centre fabric for my sawtooth stars. I’ve realized recently that I tend to gravitate towards fairly plain, tonal fabrics. I’d love to do more fussy cutting, but I hardly ever pick large scale or novelty prints that show off this technique properly. I need to change this. I’m going to try to add more bold prints to my stash this year. At the bottom of one of my boxes of fabric, I found a piece of City Limits. I made a wrap dress from this fabric a while ago. I think these cute buildings will make the perfect star centres in this quilt. P.S. Early this week I found out about an incredible creative retreat called ‘The Makerie‘ in Colorado in April. After reading through the program, I just had to register. Yoga in the morning, crafting all day long, outdoor hikes, sleeping in cottages and delicious local organic meals. I’m heading down to Boulder with Katherine for three fun days and I’m so excited! There’s still space in the program for anyone else wanting a little pre-spring getaway. It’s going to be crazy, crafty fun. okay. i am super excited that you are taking amanda’s course. a tad jealous. (no time for me right now.) 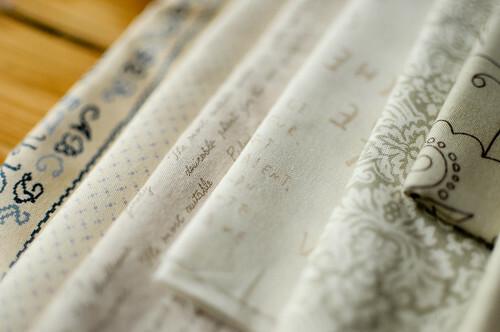 love your fabric choices. and that retreat … awesome!! Oh, such fabulous fabric! Mmmmmmmmmmmmm, just gorgeous! Look forward to seeing the completed quilt. Oh my goodness Karyn! Retreat looks amazing and I loved looking back at your wrap dress! I hope you revive that class– looks like a great pattern. 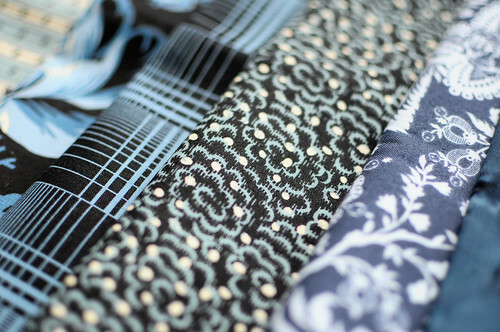 And your fabrics selections are gorgeous as usual! oh my so jealous about the crafty retreat you have signed up for. Sounds like it will be a great relaxing learning experience!! I just blog hopped my way on over to your blog and love it! Also, that retreat sounds like the most fun thing ever! So cool. 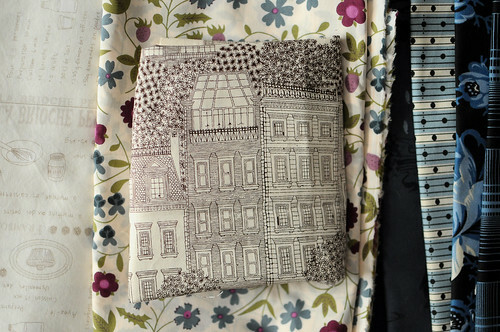 Hi, I love love love your fabric selection. Can’t wait to see how your quilt turns out. These look amazing, Karyn, and your choice for your fussy-cut star centres is perfect. Also, yayyayay for The Makerie. I’m like a kid waiting for Christmas!